A People’s Climate March organizer reflects on the march’s successes and missed opportunities, and sees a movement on the verge of a new beginning. Contrary to the critics of ‘catastrophism,’ building an effective counterforce to the multiple crises we face requires us to get apocalyptic. Leftish criticisms of the Peoples Climate March fail to understand the role of mass demonstrations in building movements and radicalizing participants. La Via Campesina says the UN proposal will increase the vulnerability of peasants and small producers, pushing them further into debt and dependency. The normally-conservative IPCC gives us eight reasons to make action against climate change a top priority. The science is definitive. The dangers are real and increasingly obvious. So why is there so little action to stop catastrophic climate change? The largest climate justice march ever is set for Sept. 21 in New York. 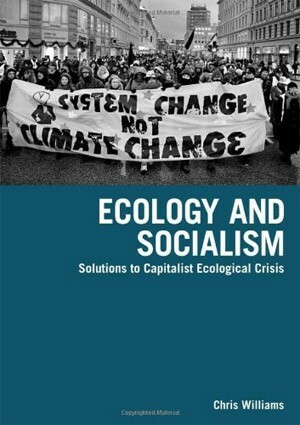 Ecosocialist Chris Williams discusses how the climate movement can succeed. Petrolify. Is this medicine right for you? Can we save the planet by shopping less? Many greens blame consumer choices and lifestyles for the global crisis. This blames the victims, while ignoring the real environmental criminals. In 2013 carbon dioxide in the atmosphere increased at the fastest rate for nearly 30 years, reaching 142% of the pre-industrial era. Global poverty is much worse than the UN’s spin doctored story. The global poverty headcount has increased, and the triumphalist narrative is a lie. One of the greatest environmental and economic disasters in U.S. history is rushing toward a catastrophic conclusion. Louisiana is sinking, fast.